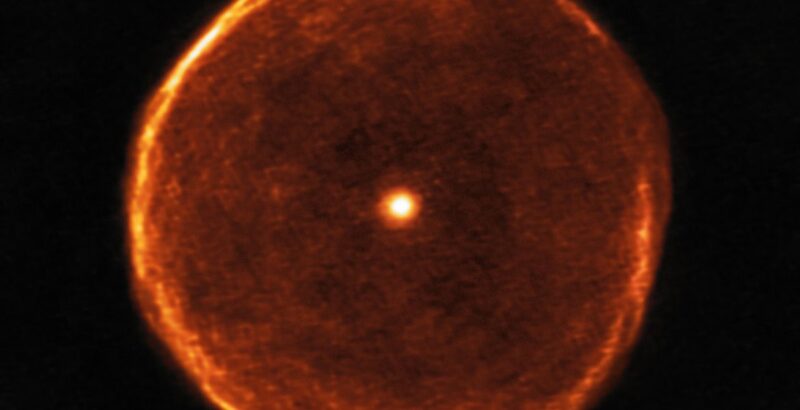 Astronomers using ALMA have captured a striking image of a delicate bubble of expelled material around the exotic red star U Antliae. 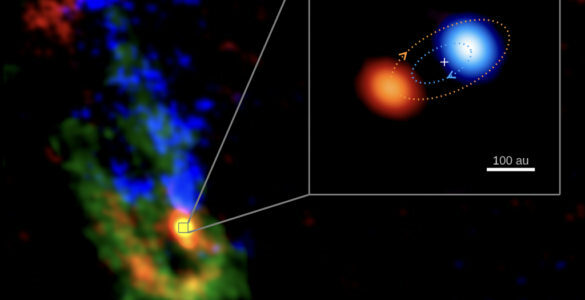 These observations will help astronomers better understand how stars evolve during the later stages of their lives. By looking with binoculars at the faint southern constellation of Antliae (the Air Pump), the careful observer can spot a red star known as U Antliae. 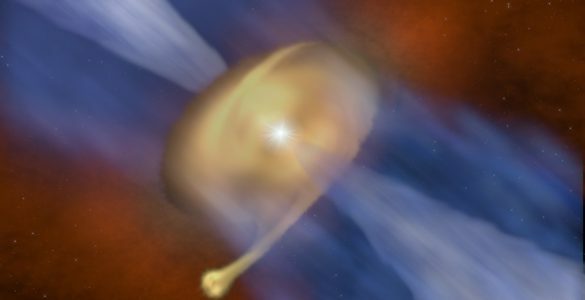 This unusual star, which is approximately 875 light-years from Earth, varies slightly in brightness from week to week. 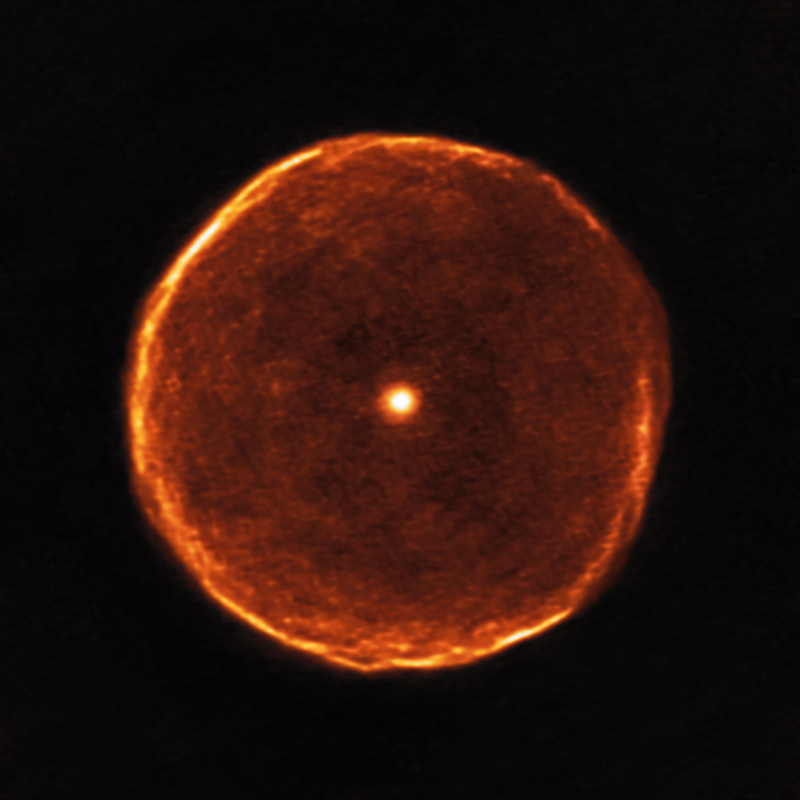 New observations with the Atacama Large Millimeter/submillimeter Array (ALMA) reveal a remarkably thin spherical shell surrounding this star. The shell, as we observe it from Earth today, began forming about 2,700 years earlier when U Antliae went through a short (a few hundred years) but rapid period of mass loss. 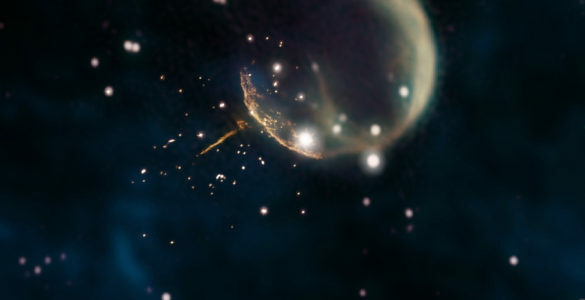 During this episode, the material from the star was ejected at very high speed, forming the round, thin, and remarkably symmetrical shell we see today. The new ALMA data are not just a single image; they are actually a three-dimensional dataset known as a “data cube.” By examining the data cube slice by slice, astronomers are able to observe the same object at slightly different wavelengths. 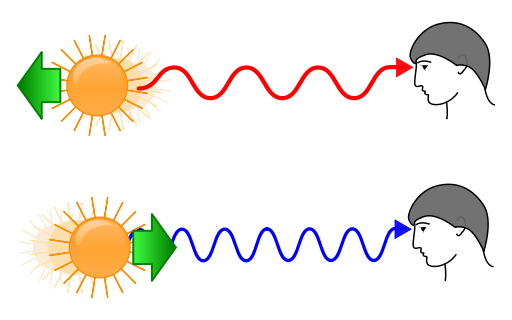 These changes in wavelength are due to the DopplerDopplerDoppler shift or Doppler effect: The change in wavelength due to the relative motion of source and receiver. Things moving toward you have their wavelengths shortened. Things moving away have their wavelengths lengthened. effect. Different slices of the data cube show images of gas moving at different speeds toward or away from the observer. 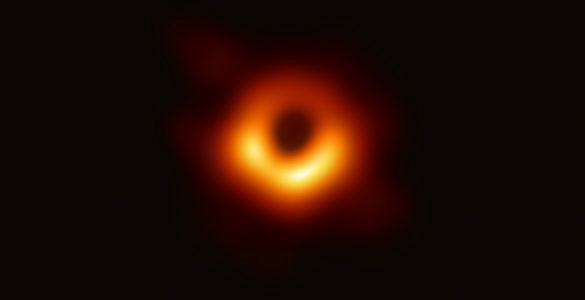 By displaying the different velocities, astronomers can, in effect, cut this cosmic bubble into virtual slices, similar to the way MRIs and CAT scans reveal different layers of the human body. 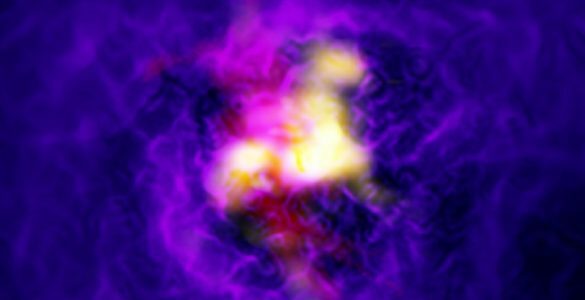 Studying the shells and atmospheres of this and similar stars is important to properly understand the evolution of stars and galaxies. Shells such as the one around U Antliae also contain a rich variety of chemical compounds and contribute up to 70 percent of the dust between stars. This research was presented in a paper titled “Rings and filaments. The remarkable detached CO shell of U Antliae,” by F. Kerschbaum et al., to appear in the journal Astronomy & Astrophysics. 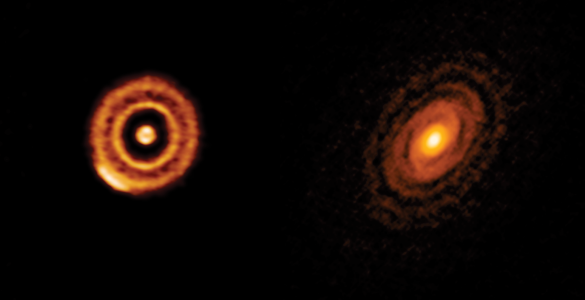 This ALMA image reveals much finer structure in the U Antliae shell than has previously been possible. Around 2700 years ago, U Antliae went through a short period of rapid mass loss. 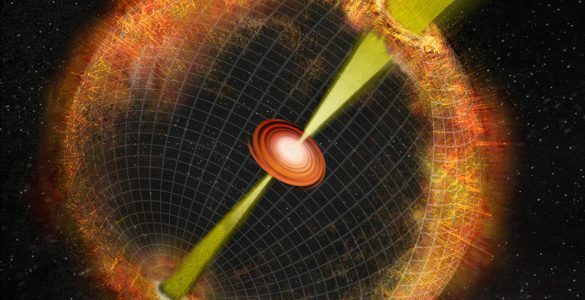 During this period of only a few hundred years, the material making up the shell seen in the new ALMA data was ejected at high speed. Examination of this shell in further detail also shows some evidence of thin, wispy clouds known as filamentary substructures.